When you are searching for the ideal Arabian horse to add to your stable or to your portfolio of assets, it’s imperative that you buy a healthy horse that brings good value to your investment. One of the first things you’ll want to do when you find a horse that interests you is to carry out a physical exam that is thorough. By following the checklist below, you can purchase with confidence and have peace of mind as you proceed with the business plans that you have in mind for owning an Arabian. Let’s take a look at some of the major areas that should be examined before you purchase your new animal. Your Arabian will have large, lovely eyes that are set widely apart so that he has excellent vision; your vet should make sure that the horse’s eyes are in exceptional condition without any inflammation or problems from past injuries. Your Arabian will need to have his teeth checked for any problems that may be occurring with his wolf teeth or premolars; ask your vet to do a complete dental exam before you make your final decision to buy the horse. The vet will check your Arabian’s heart so that he can hear any abnormal sounds that are indicative of heart conditions. He will be listening for murmurs, any arrhythmia, or other conditions that warrant special treatments or medications. The overall physical condition and appearance of your Arabian horse should be excellent for you to invest in his future. He should not be fat or too thin; each of these conditions require extra work and care to bring the horse up to the level of good health that you will want. Another thing a good vet can do is to check the history of your horse’s physical status. You will need to know any past surgeries that the horse has had, any medical issues that the horse has experienced, and the type of behaviour that he has exhibited in the past. You should also enquire about the worming history of the Arabian, which can drastically impact his health. All of these factors are important as they relate to the purpose that you have in mind for buying the horse. Finally, it’s important to have an idea of the Arabian’s vaccination record so that you can keep him on a schedule to prevent a myriad of diseases. 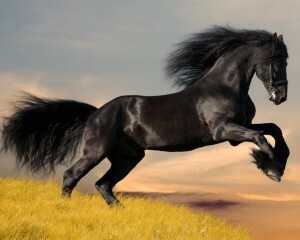 As you begin to consider purchasing an Arabian for your stables, you should visit www.arabhorsesforsale.com where you will find a plethora of healthy Arabians to add to your list of acquisitions. With your investment in such a fine breed you need to partner with a sales agent that is committed to honesty, integrity, and excellence in all transactions. Finding the right Arabian horse for your next purchase is a matter of working with a reputable sales agent, obtaining a pre-purchase evaluation, and buying only an exceptional animal that is healthy, happy, and ready to take part in the plans that you have made for his future.